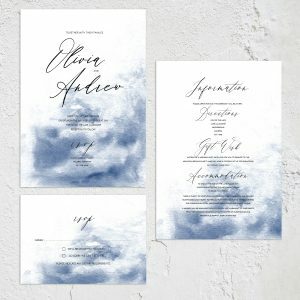 I sell ‘off the shelf’ affordable wedding stationery on Etsy. 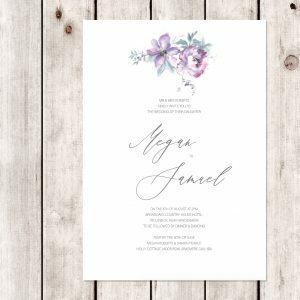 Here you’ll find elegant calligraphy wedding invitation suites, colourful place names and calligraphy poem art prints, all in my most popular designs. 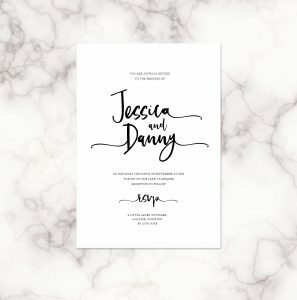 All of the items in my Etsy shop can be personalised with your own wordings – ordering is really simple. 3. Send us your details for personalisation using the ‘notes to seller’ box at the checkout. 4. Between us we’ll make sure your wording and personalised details are just perfect (via direct message / email chat). 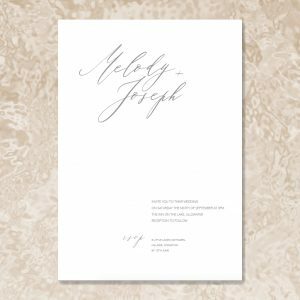 These ready made wedding invitations can be completed and sent out to you within a matter of weeks – often sooner. 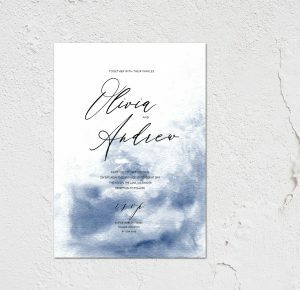 Fashionista is the perfect invite design for a modern, chic wedding celebration with pared back colours and elegant styling. Love Letters is playful and bold, an adventure all of its own with a modern calligraphy font. 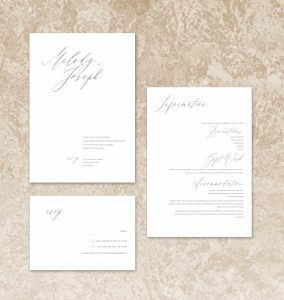 … while Modern Scribe adds subtle colour tones for a sophisticated celebration or a wedding near the sea. 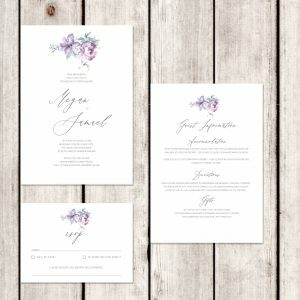 Symphony features the beautiful floral illustrations of Amy Swann, and is a favourite for country garden weddings. 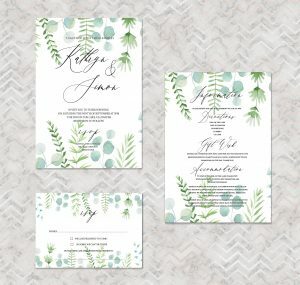 For fashion forward couples, Tropical Botanical is vibrant and on trend with its leafy borders and luscious fonts! 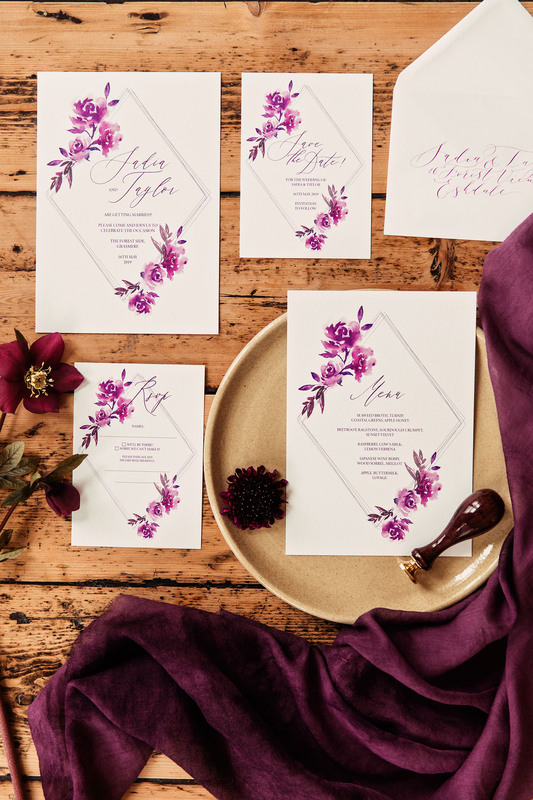 The ‘Purple Diamond‘ collection was designed especially for luxury Lake District wedding venue The Forest Side and Lakes & Cumbria Wedding magazine. 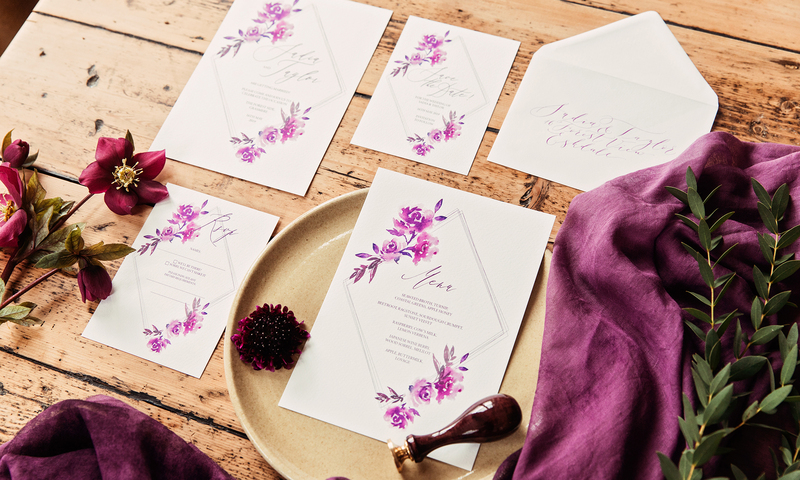 It takes vibrant colours and uses purple and pinks in a soft, elegant design with beautiful calligraphy fonts. 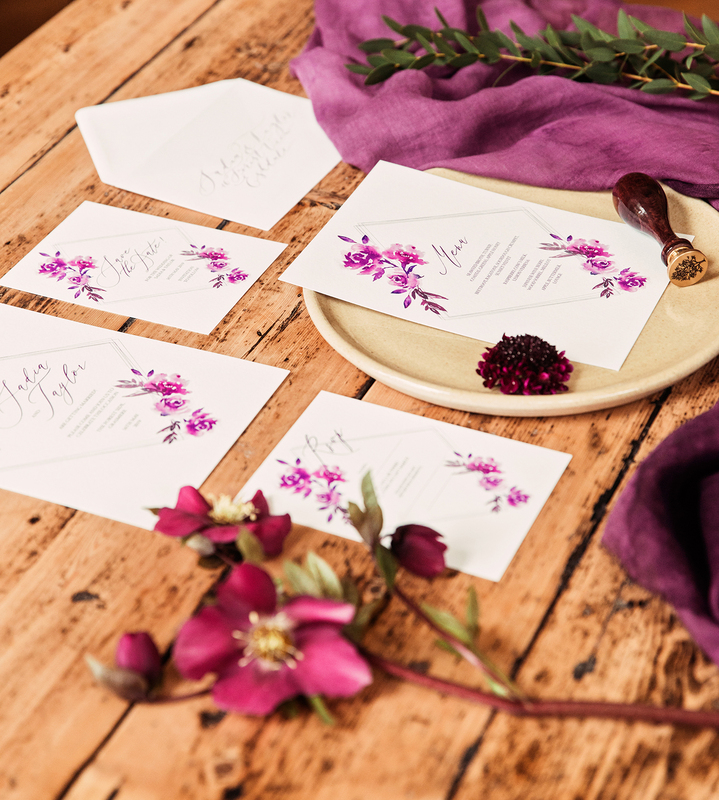 These images are by lovely Camilla Lucinda Photography. 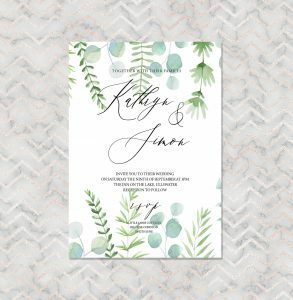 I add new designs to my wedding invitation collection on Etsy all the time. 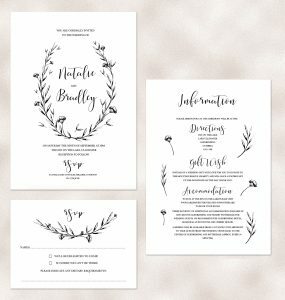 Do subscribe to my email newsletter to be the first to discover the latest calligraphy wedding invitation designs. 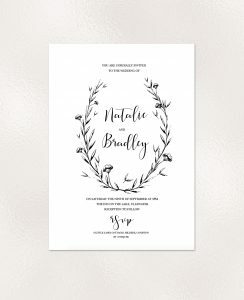 There are even more wedding invitation choices in my Etsy shop – have a browse, and I hope you find your perfect invitation in there! 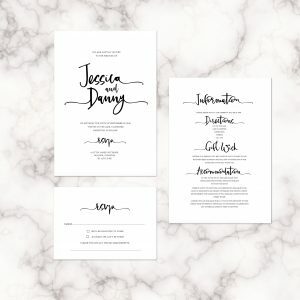 If you have something more specific in mind and are considering a bespoke wedding invitation design, you’ll find more ideas and info on my ‘Be Unique’ page.